Email us a photo, get a free response within 24 hours. 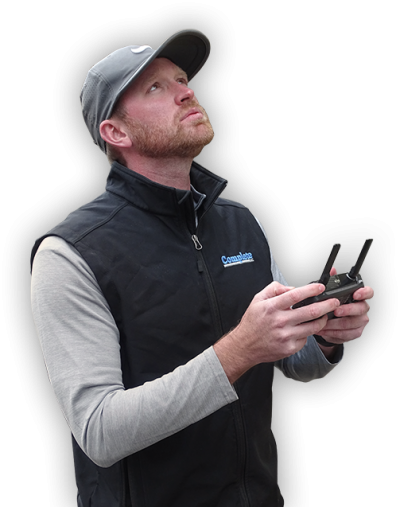 We use thermal imaging technology, both from handheld devices and drones, to assess your problem from the top-down. We take this responsibility seriously whether we are serving the owner, the insurance company, or as the umpire. Industry leader in formal appraisal & forensic engineering services. Complete is a licensed engineering, general contracting, construction consulting, and appraisal/umpire claims firm serving the United States from its home office in Gulf Breeze, Fl. Providing industry-leading expertise and project management, Complete is dedicated to the formation of lasting client relationships and solutions. Learn why we love what we do. For over 20 years Complete Inc. has been a leader in general contracting, construction consulting, and insurance appraisal and umpire services across the nation. The team at Complete knows your building is more than just a project; it is your home, your business, the place where you build your life and provide for your family and loved ones. Sign up for our eNewsletter to receive industry information, helpful tips, company news and more.